I've never really been a fan of MayWard simply because I've never really seen them in any projects save for the feature of Maymay's fashion show in Dubai and a few stints when they were still new to show business. I have nothing against them but I just didn't know much about their tandem. 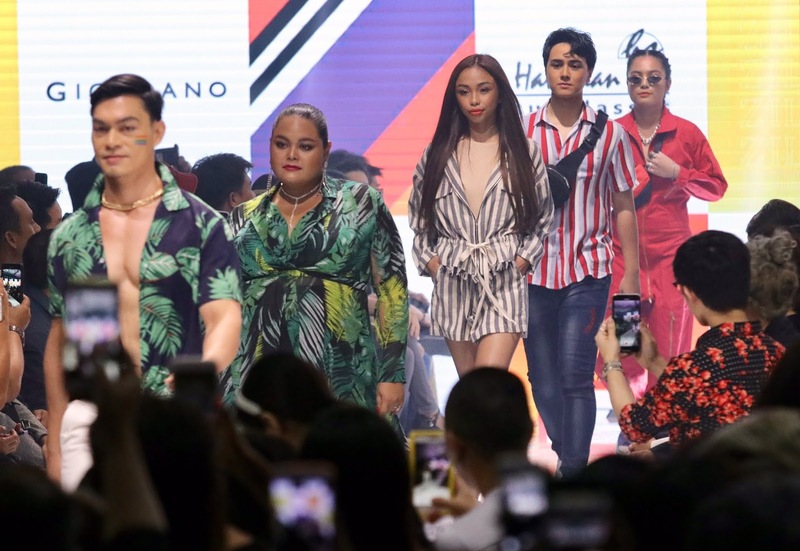 At the recently held Panasonic Manila Fashion Festival co-presented by Zilingo, MayWard headlined the Folded and Hung run of the show and I can definitely say now that I am a CONVERT. When she walked that runway, she was not a celebrity walking the runway but a model who belongs in the runway. I was flabbergasted. I was amazed. I became a fan. I got to admit that she made the clothes look like something I'd want to buy for myself if it came in my size. Thankfully, Zilingo, the leading full-stack e-commerce platform for fashion and lifestyle announced last night that it is forming a partnership with Folded and Hung which means that you can now cop Maymay's look without even leaving your house. Folded and Hung will be providing customers via Zilingo some of their most coveted piece suitable for all occasions. Since inclusivity is part of Zilingo's DNA, this partnership with Folded and Hung is absolutely perfect. Maymay is a slayer while Edward improves alot. I am. So happy and proud for this two. Indeed, maymay was born to be a superstar and supermodel.transformer girl. Thank you for this! Maymay and Edward delivered last night. Yes! She's really a slayer in the runway and very talented and of course with Edward John Barber together, they were stronger. Thank you for this nice article Ma'am! Hey, thanks! That's really nice of you to appreciate our girl, Maymay. I'm glad you do give credit to where credit is due. Enjoy your day! Me too, i wanna buy that clothes maymay's wearing. When i come back to Philippines i will buy for sure.